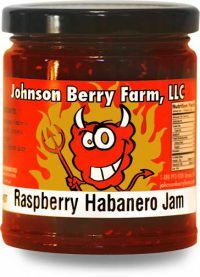 Sweet & HOT with a nice raspberry flavor. 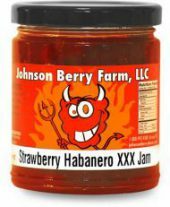 Great as a spicy glaze on chicken or fish. 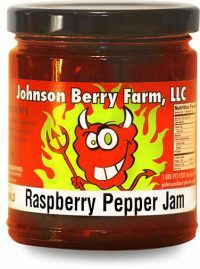 Try this with cream cheese and crackers, or as a glaze on fish. It’s a nice addition to Southwestern meals! 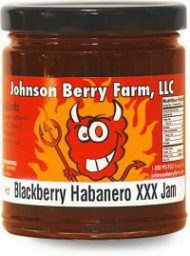 If you like HOT you’ll love this one. 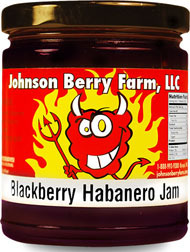 Level 2 heat is the MOST popular heat out of all the Johnson Berry spicy jams. 2 out of 5 stars on the heat chart.